We had a chance to catch up with Park Ranger, Daryl Hatfield of Blackwater State Park Florida who shared some insights on the popular activities of the park, the nearby antique stores and his favorite campsite in the park. I would hike the main trail in the park, The Chain of Lakes Trail. The trail is a 1 mile leisurely hike through the park that showcases many of the different natural communities in the park. It starts off at Deaton Bridge by boardwalk and continues by footpath through the river floodplain, into the pine flat woods, and finishes up in a Sand hill community. This trail is also a good place to view wildlife; such as whitetail deer, alligators, and other small animals. I would choose Campsite #9 because of its location. This site is conveniently located close to the trail to the river, the playground, campground host, and just close enough to the Campground Bath House. When was Blackwater State Park founded? How did it start? Blackwater River State Park was established by the Division of Recreation and Parks in 1967 and was officially opened as a State Park in 1969. It is surrounded by the larger Blackwater River State Forest which is managed by the Florida Forest Service. The most popular activities in typically include some sort of paddling sport. We do have several, often overlooked hiking trails in the park as well as numerous trails in the surrounding Blackwater River State Forest, that are excellent for birding and nature watching. 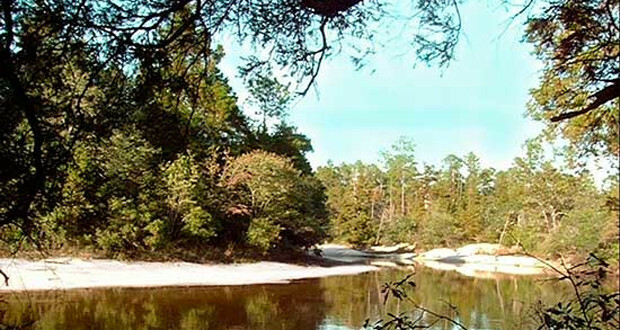 Where is Blackwater River State Park located? What are some other attractions in the area worth checking out? Blackwater River State Park is located Northeast of Milton, FL. Milton, Pensacola, Navarre and Destin, FL are nearby towns that are worth checking out. The closest town, Milton, has several antique stores and seasonal festivals. Which one of those is your favorite? The “Scratch Ankle Festival” in Milton is typically held in late March or early April and is a celebration of Milton history and heritage. The festival gets its name from one of the reported early names for the City of Milton. What are the campsites like? Are they more open or secluded? The campsites are improved tent or RV sites with water, electricity, and sewer. 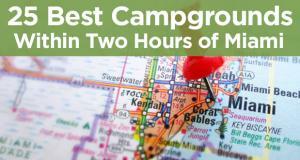 Most are semi-private campsites that are partially shaded.